The Indaba 2009 (a travel fair) takes place in Durban from the 7th May until the 12th May, so we were expecting flight prices from Cape Town to Durban to be on the pricey side. And indeed, SAA Premium Class is the most expensive ever (R3241) and Kulula is the most expensive since 29 March 2008, but thanks to Mango Airline's R671 prices are in fact 21% cheaper than they were a year ago! *one-way, including tax, leaving CPT between 1344 & 2031 on the 8th May 2009. Not often that you see a British Airways flight is cheaper than Kulula. 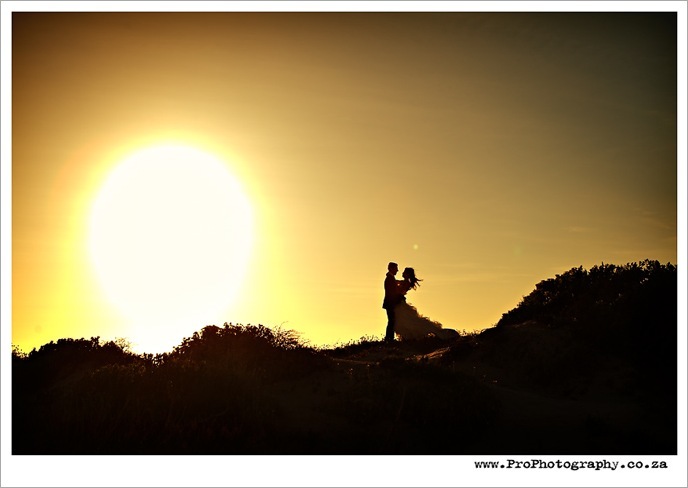 Just like we rarely choose text-only blog postings as our blog of the week, we also rarely choose photographs-mainly blog postings - this week is notable exception, as a Cape Town photographer took the most awesome photos of a wedding in Yzerfontein. "As well as flying days, part of the shift system also includes periods spent on standby. All flight crew on shift have to live within ninety minutes of the airport crew room in full make-up so that they can be called in at short notice. In any one week an attendant can have three flying days and two spent on standby for which they also get paid. In the smaller airlines such as ours they get called in to fly at short notice about 70% of the time. This can happen at any time during standby. If you have been on standby all day, unable to drink or stray further than 90 minutes away from the airport, you can be called in at 5:50 pm, in the last ten minutes of your shift, and asked to do a seven-hour night flight." Imogen Edwards-Jones, as quoted in Air Babylon (available at Kalahari net).